Well I was off to in-law family function, and I figured I would be board, so I decided to visualize my entry for Pen & Paper Portal‘s Knights of the Old Republic contest. The contest ended Friday night, but I was inspired to make an opening crawl for a campaign starter. I knew the location would be off grid, so I spent about ten minutes opening webpages and downloading resources that would come in handy in the creation of the crawl. 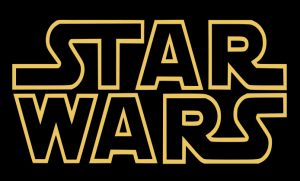 If you are asking, “What in the hell is a crawl?”, it is the intro that begins the Star Wars movies starting with the cyan “A long time ago in a galaxy far, far away…” followed by the Star Wars title, the episode title (which I left out because of the 100 word limit) and ending with the scrolling preface text that vanishes into the middle of the screen. If you have Windows XP with at least SP2, then you probably have this often overlooked application called Movie Maker. I figured it was the MS Paint of the video editing world, and it almost is. Movie Make has a decent amount of features and you can use it to edit some simple but clean movies. I actually have the Adobe Master Collection on my desktop pc, so it is not even close in performance to After Effects or Premiere (or Final Cut Pro for the Mac peeps). Yet, you can still get a lot done with it. One of the main keys is timing. I used this YouTube of the open crawl to “eyeball” the timing for both visual effects and audio. I used the “Make titles or credits” link under “2. Edit Movie” column in Movie Make three times. I also used the “Import audio or music” under “1. Capture Video” once (after I had converted the midi). I have three separate title overlays, remember to drag them into the title overlay section of the timeline after they are created. Double click on them to edit the font, color, and animations. Then I added the sound and moved it (not stretched it) until it started where I wanted it to, and then I messed with timing of the title and the body text until things started and stopped where they should. It is obviously less than perfect, but I think it looks pretty damn good for not even spending ten minutes on the actual creation, and not ever even opening Movie Maker before, ever! So if any enterprising GMs running a Star Wars game would like to create crawls for their campaigns, I’ve given you the tools, run with it. I wanted to let you know that I tried your instructions and was able to do my own Star Wars crawl. Thanks so much the information. Update: I forgot to link the YouTube crawl I used for timing; it has now been added. @dicemonkey: I think that adding extra props and elements like this can go a long way to helping player immersion, that and it is just fun to tinker around with. @monster7of9: I am happy this information helped! If you ever post it online, be sure to post the link here so we can check it out. I did want to point out that the font links were dead. Did you have another site? Also, I’m going to re-edit the video once I trim the music with Audacity. @monster7of9: The new links should work. I would get them while you can because Lucasfilm could come crashing down and have them removed. The original links worked yesterday, but I failed to check them before I posted. Unfortunately, I only have an old version of Movie Maker, and I can’t make a crawl. I like the crawl text feature of Movie Maker. I’ve used it for a couple of sequences in little films I’ve put together. Thought the more I think about it, the text crawl in the Star Wars films tends to be a bore for me: I want to get the action as soon as possible, not sit and read spacy text. @Don: Yeah the feature isn’t too bad for being a free component on Windows. THANK YOU! These were the easiest directions, much appreciated for putting it in layman’s terms! My husband will love his Father’s Day starwars crawl at the beginning of our homemade family dvd! Thank you again!!!! How do you download the fonts? I opened them, but you can’t copy or anything from True Type! I’m so confused! Nevermind!! I figured it out!!! @Iain: Awesome, hope everything works for you! I use the SW crawl all the time; for obvious reasons. were do you put the downloaded fonts? Tried it but I don’t get nearly as much perspective on the scrolling text as yours did. Which version of Movie Maker did you use? mine’s version six on vista. Thanks for putting this up here, really appreciated! Well, I’ve since upgrade to Windows 7, but it surely must have been the most recent Movie Maker at the time of the original post. I don’t have it on my current machine, but I might install it and check it out when I get home. Cheers for this, fantastic instructions, even I could follow them. Just a couple of things, my opening title seems to be shadowed, has the expected Yellow “Star Wars” title plus a grey one just behind it, dosent have it on all animations just the one I want to use ! also the title body scrolls straight up and not fading in the distance, did I mess something up ? @Rimmer: I’m not sure what to do about the shadow, but to get the scroll correct, you need to use “Scroll, Perspective” from Tools/Titles -> Titles, One Line list.